FIFA has threatened to suspend the Nigeria and Ghana football federations over government interference. Nigeria will face the wrath of world football’s governing body unless “the Nigeria Football Federation (NFF) offices are not handed back to the legitimate NFF executive committee under President Amaju Melvin Pinnick”, FIFA warned in a statement on Tuesday. Nigeria put itself on a collision course with FIFA in July when the government’s sports ministry directed the NFF to comply with a court order to overturn Pinnick’s election and recognise Chris Giwa as its head. The long-running dispute over who is in charge of the NFF dates back to 2014. Giwa first claimed to have won election to the top job. However, FIFA did not endorse the vote and threatened suspension unless it was re-run. Pinnick won the re-run, although the vote was also deemed to have been flawed. Giwa then launched court action over the result. FIFA said the ban would only be lifted once Pinnick has confirmed the NFF is back under his effective control. Ghana’s problems stem from a corruption scandal engulfing suspended GFA federation boss Kwesi Nyantaki. 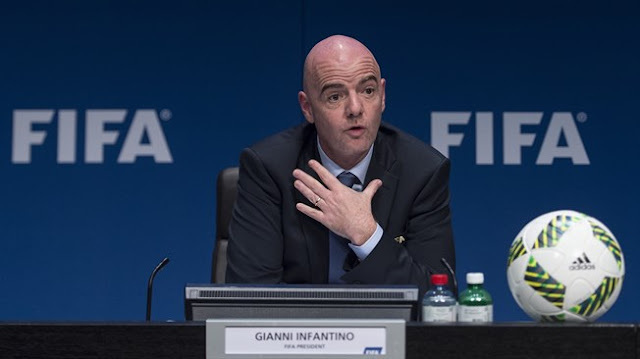 FIFA are on the warpath after the country’s Attorney General ordered the GFA to be dissolved. “If the petition to start the liquidation process of the GFA is not withdrawn” by August 27 the association “will be suspended with immediate effect”, FIFA said. FIFA statutes dictate that member states should “manage their affairs independently with no influence from third parties”.